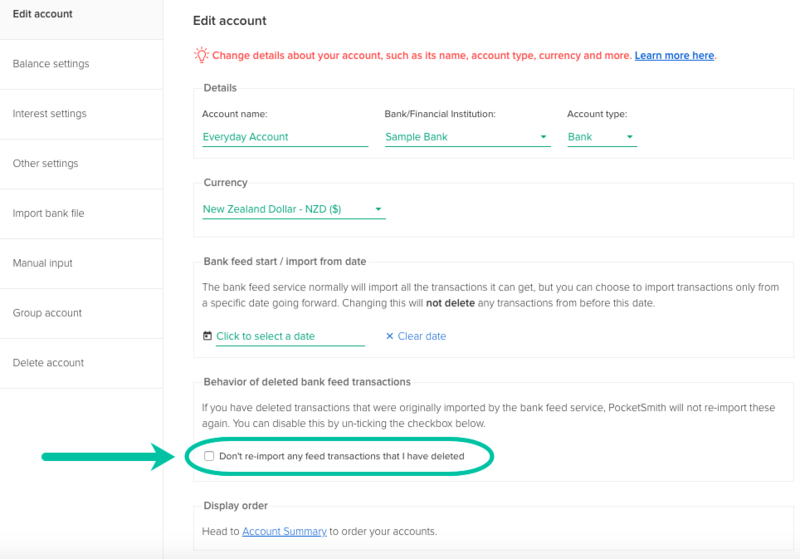 By default, any transactions you delete from an account with a bank feed will not be re-imported the next time the feed syncs. However, you may want to change this setting for an account so that any deleted transactions can be re-imported. If the option is checked, transactions you've deleted won't be reimported. If the option is not checked, transactions you've deleted will be reimported.